Aviation and rail travel may appear very different, but they grapple with similar problems: how to build and run a safe transport system. It’s an audacious idea: rows of passengers in long narrow cabins, propelled at unprecedented speed by engines that harness the fundamental power of fire. And intriguingly, this description applies equally to 21st century airline transport and 19th century rail transport. When aircraft started to carry paying passengers they had a ready-made, if imperfect example of safety practice to follow—the train, the mode of transport the Wright brothers used to travel to the sand hills of Kitty Hawk. Railways gave aviation several fully formed safety concepts. The pre-departure inspection has its origins in rail transport. It grew from the Versailles rail disaster of 1842, when a cast-iron axle on an early locomotive shattered, leading to a deadly crash. By the following year, the sight of the wheel tapper—a worker who hammered rail wheels and listened for the telltale wrong note that signalled a crack—was common at European railway stations. Along with this came materials science, the realisation that the demands of rail required highly developed and reliable materials. Limited life components were an early railway response to the problem of metal fatigue. Fail-safe, the concept of a system going into a harmless, or low-harm state if it breaks down, is another railway invention. This was exemplified by the Westinghouse brake of 1872. Westinghouse principle brakes, still used today on trains and trucks, are designed to apply should brake pipe air pressure fall below a critical level. The consequence of brake failure is stopping rather than running away, no harm done. Trains and airliners are among the safest forms of transport. In The economics of railway safety Ian Savage presents rail travel as having 0.81 passenger fatalities per billion passenger miles. Commercial aviation has 0.21, and car transport 8.29. However, taking all rail-related deaths into account produces a less favourable picture. Savage quotes US National Safety Council figures of 600 rail transport-related deaths in 1996, made up largely of workers, line trespassers and pedestrians killed at level crossings. The equivalent figure for all of aviation was 800. The US National Safety Council calculates a lifetime odds of one in 167,158 of death in a railway accident compared with one in 9737 for death in any type of aviation accident (including general and sport aviation). What can aviation learn from nearly 200 years of railway experience? 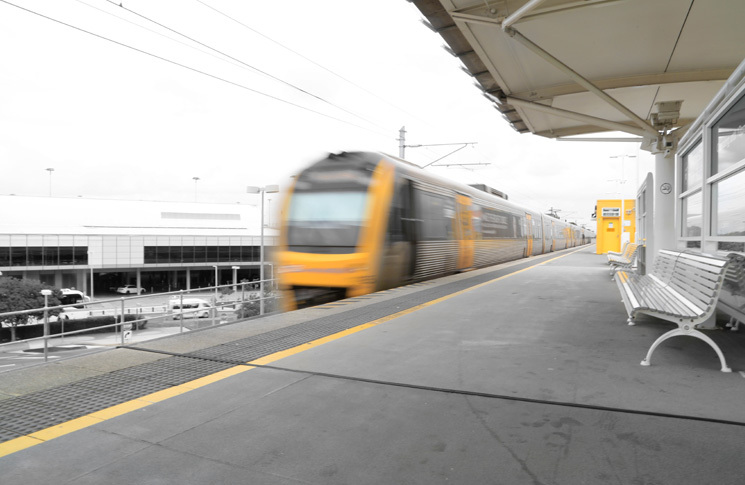 In a previous phase of his career, CASA safety performance management specialist, Charles Galea, was part of the team that investigated the Waterfall railway crash of 2003, when a Sydney commuter train came off the tracks, killing six passengers and the driver. Rail safety consultant, Phil Barker, says rail safety’s best contribution is the way it includes worker and third-party safety. ‘This is something rail does well’, Barker says. ‘There’s a health and safety big picture with a focus on slips, trips and falls as well as safe train operation. However, he says a study of railway accidents reveals a problem that also occurs in aviation systems—procedural drift and normalisation of deviance. ‘For all the rhetoric of “safety first”, the smooth running of the trains appeared the chief concern of the companies,’ he says. Attempts to impose safety changes that did not address this group’s deep-set cultural beliefs were unlikely to succeed, Galea concluded. Barker says this situation still exists. ‘Rail in Australia has had SMS since 1993, but it hasn’t really evolved. The strong tendency is to revert to a rulebook-based approach. Instead of developing SMS, we concentrated on fixing up the rulebook. The reaction to this was safety education, introduced on British railways in 1913. Safety education through posters, films, publications and other methods was an important innovation that spread to many other areas, Esbester says, praising the awareness it created. High-speed rail refers, by general consent, to passenger train operations at speeds of 200km/h (107 kt) and above. It began in 1964 with the first Shinkansen (new trunk line) service in Japan, and can now be found in Europe, China, and the US. The Shinkansen network, now six lines with trains running at up to 320 km/h (170 kt) has carried more than 10 billion passengers without a single passenger death from derailment or collision. It is revealing that the few fatal accidents which have occurred to TGVs have been on the non high-speed ‘lignes classiques,’ and occurred at much lower speeds. Level crossing accidents are prominent in this catalogue. The German and Spanish high-speed systems have each had one fatal accident. In 2010, François Lacote, vice-president of train maker Alstom, calculated high-speed rail was as safe as airline travel on a deaths per 100 million person/km basis, or eight times safer on a deaths per 100 million person/hour basis. Upgraded track, whether exclusive to high-speed services, as in Japan, or shared with other trains (as in Europe); with wide-radius curves and no level crossings. The track is fenced to minimise incursions by people, animals or vehicles, and is subject to stringent inspection and high engineering standards. In-cab signalling and other advanced communication, including the GSM-R dedicated mobile phone system in Europe. High-speed trains run too fast for drivers to see trackside signals accurately. Automated train protection and increasingly, train control systems, which alert or take over if the train is going too fast, or has passed a danger signal. Train and network monitoring from a central control room. Rail vehicle standards of crashworthiness and stability. High-speed rail has another intangible characteristic—active safety management, known in railway parlance as a system safety program. An example of precisely such an approach is the driver’s windscreen of the Eurostar train that runs from London to Paris and Brussels. It was made smaller than the windscreens of other TGVs after testing found a full-size windscreen could induce a hypnotic effect in drivers when driving at high speed in a long tunnel. It’s an engineered solution, rather than an exhortation for staff to be ‘careful’. On the German ICE (InterCity-Express) high-speed system safety management extends to separate risk assessments for each 50-metre section of track. This results in tracks in areas known for high crosswinds to be sheltered behind wind fences, for example. France’s LGV (lignes à grande vitesses) high-speed tracks have sensor- equipped nets on overpasses that detect falling objects and signal the control room. Electrical circuit-based systems detect breaks in the track, and there are monitors for earthquakes and crosswinds. Japan Railways Group director, Takao Nishiyama, told the International Practicum on Implementing high-speed rail in the United States how safety management in the Shinkansen was continuous and wide ranging, and involved planning, maintenance control, operations control, station yard control, rolling stock control and power system monitoring. Considerations of distinctive local hazards had led to technology to detect earthquakes (the network has 97 seismometers, which proved their worth in the 2011 earthquake, when no passenger was hurt, despite the track being displaced in more than 2950 places). The history of railways is a story of two evolutions, technology and culture. Together they form a socio-technical system. Railways are clearly and undeniably a system; the train, the track and the signals are equal parts. Aviation is also a socio-technical system, although less obviously so. While an aircraft in flight may appear independent of the ground, it requires an equally complex, but invisible infrastructure of navigation, airport and maintenance facilities to keep it there. The general lessons from one socio-technical system can be useful in another. Rail demonstrates the importance and difficulty of establishing a just culture after decades of precedent. The importance of thinking in system terms, rather than in terms of carelessness, and the rule book, has been belatedly recognised by rail as part of the development of high-speed systems. The importance of communication, and of sincerity (even if this involves financial outlay). The importance of involving all parties (employers, unions, regulators) in constructive dialogue. The need to treat safety education with a degree of caution and to develop a more nuanced approach to human factors ideas. Historically, railways teach much about safety by what they did wrong. The examples become more egregious to modern eyes almost in proportion to their age. One of the first railway deaths, in 1838, involved a ticket inspector whose job was to clamber between carriages—outside the train—and inspect passengers’ tickets. When, inevitably, he fell off, he was killed. In 1831, a locomotive in the US exploded after the driver tied down the pressure safety valve. But as recently as 1987, in the aftermath of a collision between a freight train and a passenger train in the US, it was discovered that the warning horn in the freight train’s cab had been deliberately muted with duct tape. Contrasting with this is the impressive effort of what on first glance would seem to be a very dangerous exercise, given the imperfect nature of rail safety—high-speed trains. Theirs is a story of very successful safety management, despite a few high-profile and high-energy crashes that in some ways resemble aircraft accidents in their dreadful aftermath. The lesson for aviation is that every part of the system matters, and every part must be managed effectively. Too bad US Federal wildland fire fighting fatal accidents default to criminal prosecution rather than error identification, systemic correction, and positive actions that address structural issues. While ‘workers are still sacked…’ criminal prosecution has a chilling affect on root cause determination that is orders of magnitude greater. Under such chilling conditions, who can speak freely of events and circumstances leading up to an accident absent legal counsel?